Music beats in the heart of Iceberg. 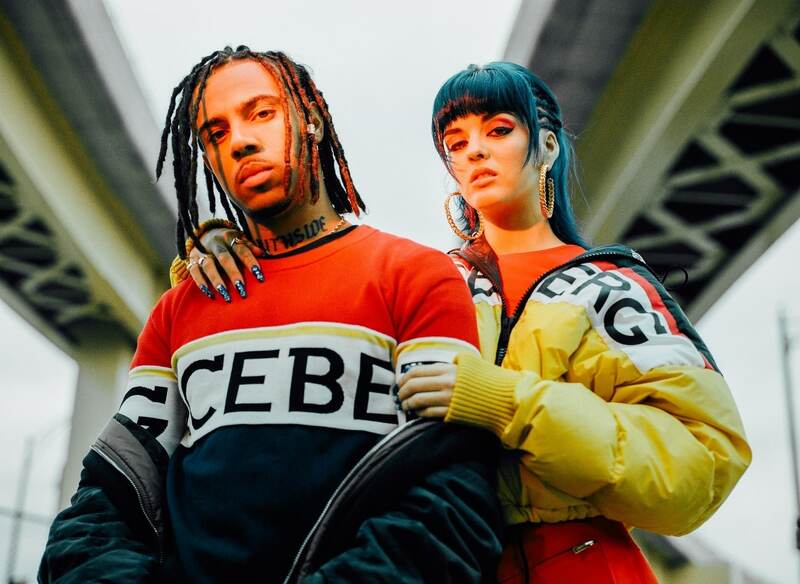 The rapper Vic Mensa is the “rebel angel” and the techno-princess model Sita Abellan, set the rhythm of the new SS18 campaign. Striking images. Once again the young American photographer Samuel Trotter shots – indoor and outdoor – a series of portraits in black & white or color. Chicago is the new creative hub. On the background an urban landscape made of infinite highways and suspension bridges. It’s a story of cool images and street style made of knitwear, bikers, trousers, logo jackets, destroyed denim and, rainbow lurex. James Long, creative director of the brand, perfectly translates the work of Jean-Charles de Castelbajac into a modern version, presenting a superbly stylish and eclectic collection. The result? A luxury streetwear collection with a 100% POP spirit and a playful and colourful attitude.